Co-organized by Junior Achievement Hong Kong (JAHK), J.P.Morgan, and supported by the Energizing Kowloon East Office (EKEO) and the Hong Kong University of Science and Technology (HKUST), The Schools Challenge – Live Smart@Kowloon East is a STEM-focused social innovation program for junior secondary students. 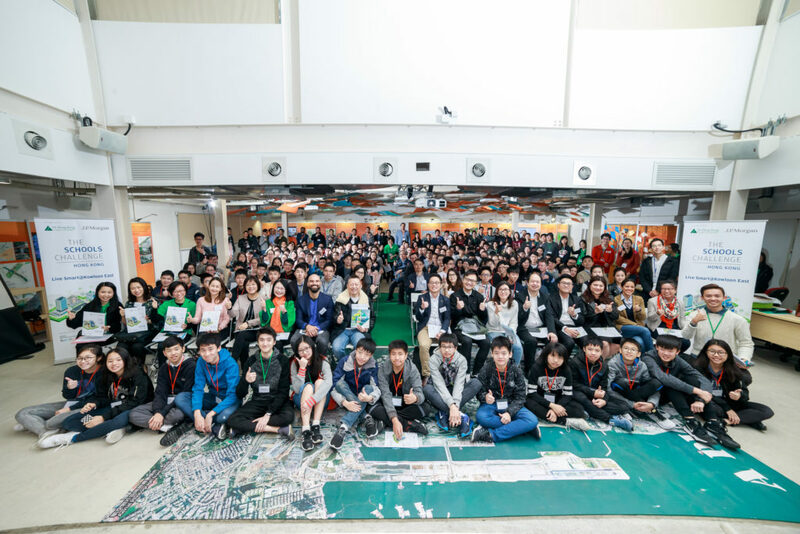 The program aims to broaden students’ interest and learning of various STEM disciplines, and encouraging them to co-create innovative solutions that helps transform Kowloon East into a pioneer smart city in Hong Kong. Throughout the 4-month program, each team (4-6 students) will be mentored by J.P. Morgan business volunteers and supported by HKUST student volunteers. Program format: A series of hands-on learning workshops, mentorship sessions, project development and presentation.